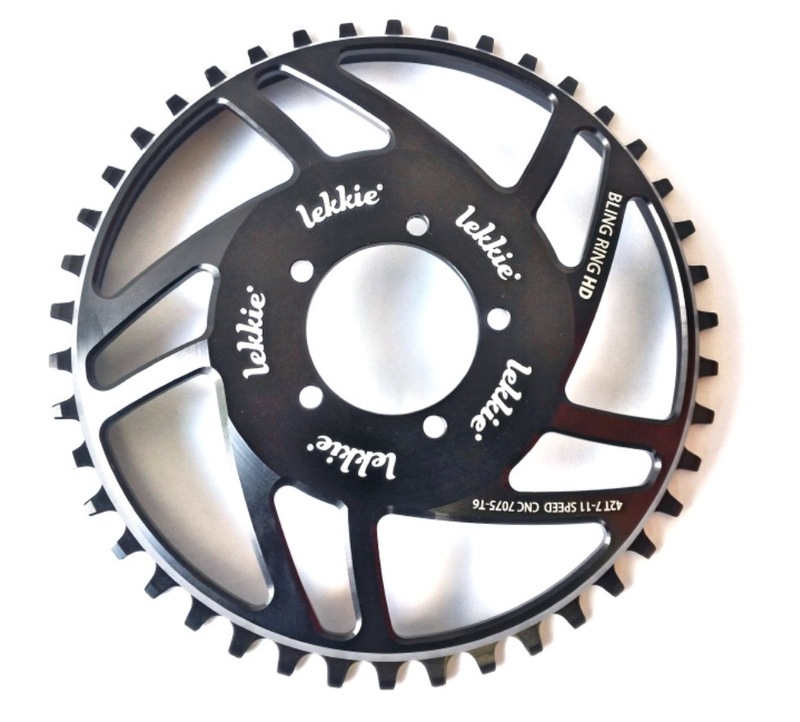 If you want a premium narrow-wide tooth chainring for your BBS01 or BBS02 look no further! 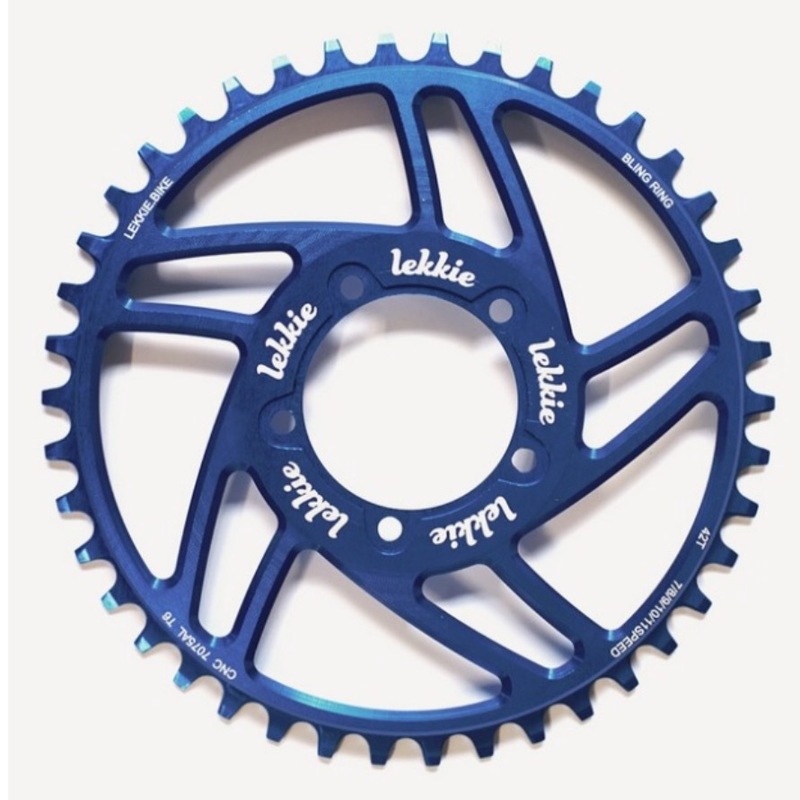 This precision machined drive ring allows for a lower gear ratio and better chain line than the stock 8Fun drive rings. Machined with a Narrow Wide Deep tooth pattern the Bling Ring aims to eliminate chain derailment and reduce tooth ware. Machined from 7075 Aluminium and T6 hardened for long life. Anodized Royal blue or Black. 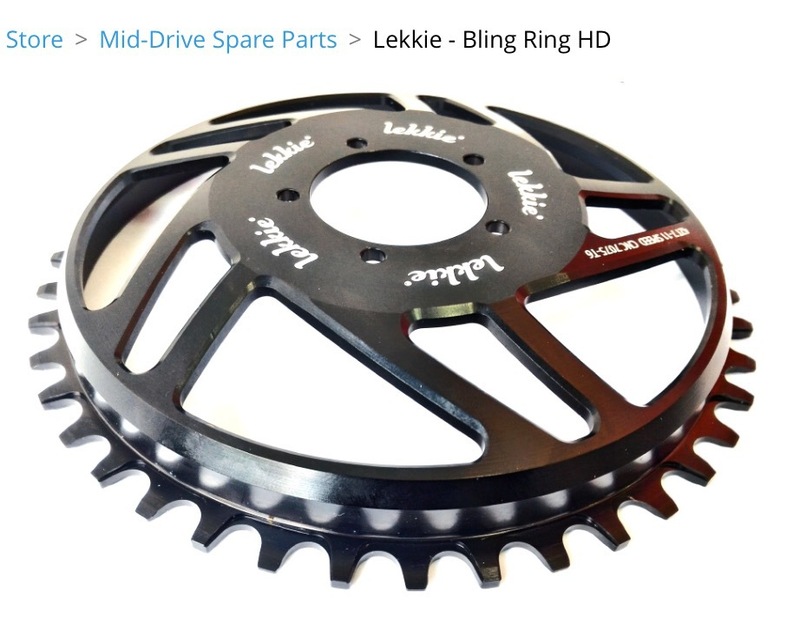 Lekkie has released a new 42T HD Bling Ring to suit the 1000 Watt Mid Drive Motor. Suits upto 11 speed cassettes.